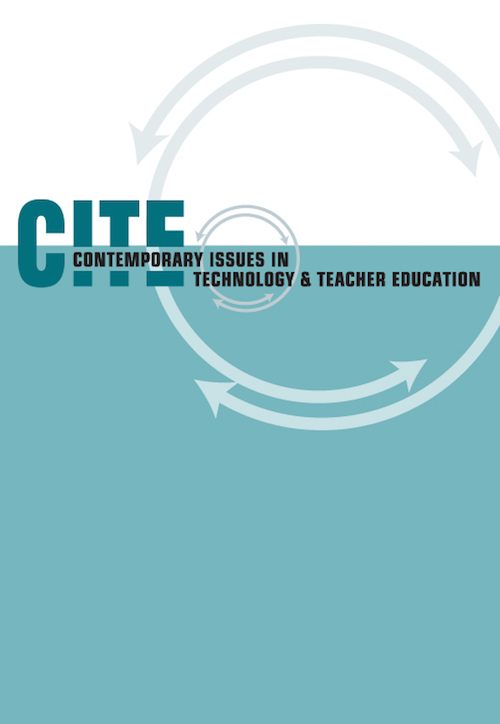 CITE Journal as a whole squarely addresses the role and preparation of teachers in relation to technology. The papers in this issue, however, serve as an important reminder of the role of teachers in realizing the potential of technology and the need for teacher preparation at all levels – from preservice to in-service to clinical supervisors. Mouza, C. (2018). Editorial: The Role of Teachers in Teaching and Learning With Technology. Contemporary Issues in Technology and Teacher Education, 18 (3), 491-493. Waynesville, NC USA: Society for Information Technology & Teacher Education. Retrieved April 26, 2019 from https://www.learntechlib.org/primary/p/185466/. Kopcha, T.J. (2012). Teachers’ perceptions of the barriers to technology integration and practices with technology under situated professional development. Computers & Education, 59(4), 1109-1121.